The JPMorgan Chase veteran heads start-up Digital Asset Holdings, which aims to make trade settlement faster, cheaper and safer. Blythe Masters has seen the future before, and Wall Street followed. Will it happen again? If the development of virtual currencies is the story of a long cultural struggle between the idealistic hackers who founded them and the incumbent powers of the financial industry, this year has already seen established money strike two major blows. In March, San Francisco Bitcoin firm 21 emerged from stealth mode to announce a $116 million round of venture funding, the largest ever by a company in the digital currency sector. But it was the announcement of Wall Street pioneer Masters, 46, as CEO of Digital Asset Holdings  a New York start-up with fewer than 20 employees that has yet to launch a single product  around the same time that really caught the attention of the investment world. Digital currency businesses are now a serious destination for venture capital: $350 million was poured into the sector in 2014, and $230 million has already been invested this year, according to London-based data firm CoinDesk. But while VCs have been busy pumping cash into Bitcoin, the big beasts of Wall Street have mostly stayed on the sidelines. The appointment of Masters, who spent 27 highly successful years at JPMorgan Chase & Co. before leaving the firm last year after overseeing the sale of its commodities unit, changes that. Digital Asset was launched late last year by finance veterans Sunil Hirani and Don Wilson; funding for the venture has come from the founders own pockets as well as friends and family, says Masters. Its perhaps no accident that in the weeks since her new job was made public, several big banks have announced digital currency initiatives. In early April, for instance, UBS said it was starting a new innovation lab to explore financial applications of the blockchain, the infrastructure on which Bitcoin is built. Bitcoin, launched in 2009, is the oldest and best known piece of a thriving global network of digital currencies. Digital Asset  which, unlike other new entrants in the sector, has no designs on being a trading business or an exchange  will focus not on these currencies as currencies. Instead, Masters says the company will exploit the distributed databases that are their structural core to build a software service that will effect quicker, cheaper, more secure settlement of trading in mainstream and digital assets. The youngest woman to achieve the title of managing director in JPMorgans history, Masters helped create the derivatives market, which came to dominate institutional trading through the 1990s and 2000s. Her status as the inventor of credit default swaps, the trigger instrument for the collapse of American International Group, has made her a sometimes controversial figure. But Masters, who was born and raised in the U.K. and studied economics at Cambridge University, says her experience of the financial crisis and the ensuing debate over reform has convinced her of the need for something to replace the old-fashioned infrastructure that Wall Street uses to settle trades. The wave of change that the Dodd-Frank Wall Street Reform and Consumer Protection Act and Basel III rules have brought to global banking may have helped reduce counterparty and systemic risk in the clearing and execution of trading activity, but settling a trade in the U.S. still takes anywhere from two days (for Treasuries) to 27 (for syndicated corporate loans). 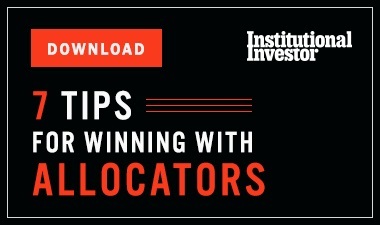 Masters is betting that the cost and risk to financial institutions that comes from having to keep traded assets on their balance sheets as they wait for settlement will entice them to consider a cheaper, faster, more secure alternative  especially when it comes to the slowest-settling assets such as private stocks, emerging-markets currencies and syndicated loans. The blockchain, a distributed public ledger that allows for the transfer of title to digital assets in a decentralized, real-time fashion, could be the answer, though Masters concedes that it will take a lot to convince conservative, risk-averse financial firms to abandon familiar practices for untested new technology. Theres been this aura that Bitcoin is bad, she says. Its the cowboys. Its not real. Its not responsible. Masters spoke to Senior Writer Aaron Timms about her plans to change that, and how the shifting political and cultural landscape for the alternative currency sector is opening up opportunities for businesses such as Digital Asset. 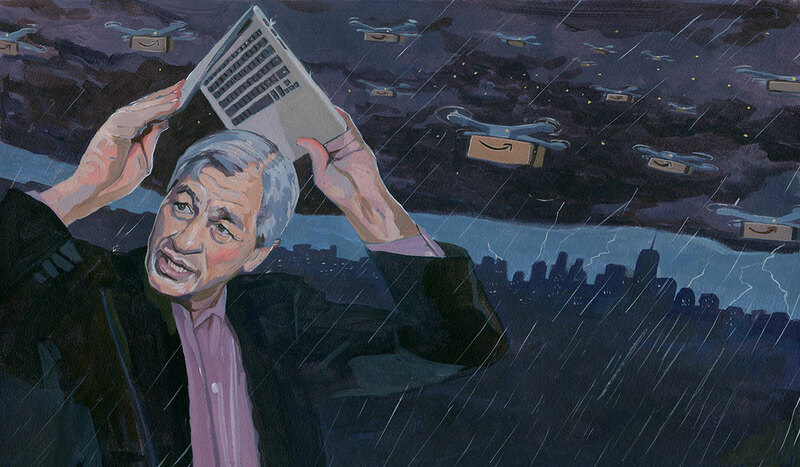 Institutional Investor: Youve had a long and enormously successful career at one of the worlds biggest banks. Whats the appeal of joining a place like Digital Asset? 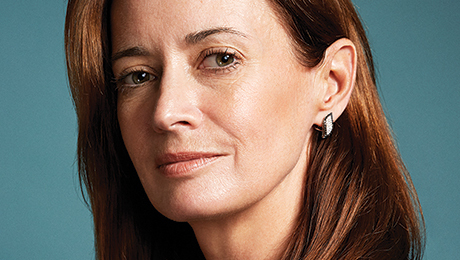 Blythe Masters: It might be a small company, but its a really big opportunity. And because of my extensive background in financial services, I think Im in a position to understand the opportunity for what it is. Im not a technologist  fortunately this companys got plenty of those. But what I bring to the table is essentially the ability to bridge the gap between the digital and programming world and the world of existing financial infrastructure and all its players. I think the technology itself is transformational, and the scale of the markets to which it can and should be applied is enormous. But the number of people who populate that middle ground, who are able to translate or bridge the gap, is relatively small. Everyone talks about the enormous potential of alternative currencies and their underlying technology. But the whole world of Bitcoin and other currencies was set up to resist centralization and intermediation. It didnt want to be part of the organized financial industry; it was openly scornful of it, and theres still a strong libertarian, antibank strain to much of the sector today. Do you think these worlds want to be bridged? I would say that your general characterization of some in the space is correct. But if you had a really good idea about how to build a better tire for an automobile, you would probably be really interested in talking to the auto companies because they are the people that ultimately are going to make use of your technology. You could think that maybe, because of the power of your tire, there might emerge a whole new brand of auto companies that supplant the General Motors of this world because the incumbents never really got the whole concept of what a good tire should be all about. But Im not sure that would be a good move. What are you hoping to achieve with Digital Asset? Were a wholesale-oriented technology company that is seeking to develop software and services for the application of distributed digital databases, including but not limited to the blockchain, for effecting quicker, more secure settlement of mainstream financial assets as well as digital assets. The actual front end of transactions happens at almost warp speed, and yet the process of completing transactions, according to their contractual terms and transferring title to the underlying, is slow. Slow means a higher cost associated with capital requirements, higher risk because of the possibility of something breaking in the period between transaction and completion of the transaction, which, obviously, became front of mind during the financial crisis of 2008. The other problem with settlement today is that its not particularly secure: Theres a lot of electronic information about assets out there, but not all of it is encrypted. And lots of it is stored in centralized places that are very vulnerable to cyberattack or some other operational failure, which is the kind of thing that can happen when you have a centralized, single point of entry to a system. Were seeking to provide a service that minimizes the amount of risk our users take on. Not surprisingly, the lower the risk you create to the entity in question, the lower the need for regulation in that context. No! This is completely different to the notion that regulation is inherently a bad thing, which youve correctly identified as a theme in this community, or that the world would be better off without financial intermediaries, without central banks, without governing powers. Thats not a world that we promote or believe is realistic. Were actually in favor of a lot of the aspects of the existing world, including trusted parties, government oversight, the transparency needed to facilitate that. Audit trails, limits and command-and-control infrastructure, KYC [know-your-customer protocols], AML [anti-money-laundering rules], legal foundations to detect and deter illegal financial activity  all of those things are positive aspects of todays world that should be preserved. But theyre slowed down because the existing infrastructure doesnt have all the benefits of the best of digital technology such as the blockchain. Our idea is to blend the best bits of both. Digital Asset will become a financial intermediary in some way, will it not? Dont you lose the fundamental character of the blockchain  its decentralized, distributed, trustless nature, which is key to the whole power of the network  the moment you start slapping services and so on on top? You dont. Were preserving and not at all interfering with the concept of direct peer-to-peer, entity-to-entity transactions. Our services will operate on top of the blockchain or other pieces of similar infrastructure, but the underlying transactions will stay fully distributed in an encrypted environment. What were not reintroducing here is a notion of some entity that you have to trust intermediating on your behalf. That is the reason why you dont lose the core capability of the technology. But well place these services in line with existing regulations and transparency. How are you going to convince Wall Street to use this? There are some really big forces at work right now that have changed the way institutions think about all this stuff. Chief among those is significantly increased capital requirements, which basically attach to any situation where there is risk, defined as counterparty risk, or liquidity risk, or leverage on your balance sheet. Thats one big motivator that didnt exist to the same degree five, six years ago. Driver No. 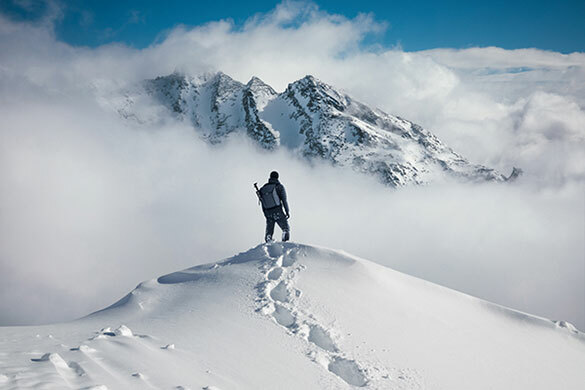 2 is the skyrocketing cost of regulatory compliance, which means there is an emerging orientation among many large financial institutions to collaborate and share and centralize certain functions that have previously been protected and considered to be proprietary. The third thing is cybersecurity: Banks and other big institutions are thinking hard about ways in which you can better protect your information without having to build bigger and bigger walls, which create bigger and bigger targets. Theres a need for a different approach to diversifying your operational and technological risk and your cybervulnerabilities. Those are three big trends that are motivating financial institutions that may have been very uninclined a relatively short period of time ago to even think this way to look at alternative solutions, such as those involving the blockchain. Theres some irony in putting forward a technology service thats designed to reduce risk and cure problems of safety and soundness in the financial system: That was the whole point of postcrisis financial reform. Why not just focus on getting existing channels of reform right rather than building a workaround from scratch? A lot of that infrastructure was designed for a world before the kind of sophisticated cyberrisks we see today emerged: a world that was not as connected as it is today via public networks, the Internet and so on. Theres a fundamental design approach that older infrastructure doesnt have that the new digital distributed ledger concepts do have. Its much more interesting  not to say easier and cheaper  to push innovation through these new infrastructures. Of course its not going to be easy to get that adopted overnight. It wasnt easy for the world to adapt to the Internet in 1994. But the Internet has changed the world. Where we are today with distributed ledger systems and the blockchain and so on is in a sense quite analogous to where the Internet was in the early 1990s. One of the features of Bitcoin and other virtual currencies today is that the miners who verify and record transactions on the public ledger need to be incentivized in some way. In the world of Bitcoin theyre paid in Bitcoins. Youre not building a currency system; how will Digital Asset incentivize miners to verify and record transactions that are part of your service? There are lots of different ways technologically to think about the question of managing motivation for transaction processing. The approach you describe is one approach that exists today, but there are entirely different protocols where the motivation of a network transaction processor, which is a less pejorative term for miner, could be to keep the network safe or functioning because theyre users. So you could imagine a world where you dont have independent miners who are motivated by the financial return for their mining, but rather people who have invested in a shared utility who have an interest in it continuing to work because they are using it to do whatever it is they do for a living. How does the opportunity with Digital Asset relate to your time at JPMorgan and the things you experienced there before and after the crisis? The financial crisis taught us about many inherent risks in the way the financial system operated at the time and operates to a degree today. Some of these risks have been mitigated through financial reregulation, and some of them are still there. I and many others appreciated  and to this day appreciate  the role of regulation and the important progress that was made as a result of changes to regulation of derivatives in the aftermath of the crisis. One of the things I am seeking to do with this business is to make sure that as the financial world innovates going forward, we pay attention to those important features of safety in the financial system like resiliency, like managing counterparty risk, like recognizing that while weve reduced interdependency through mandating central clearing, weve havent yet addressed essentially similar risks in the settlement process. 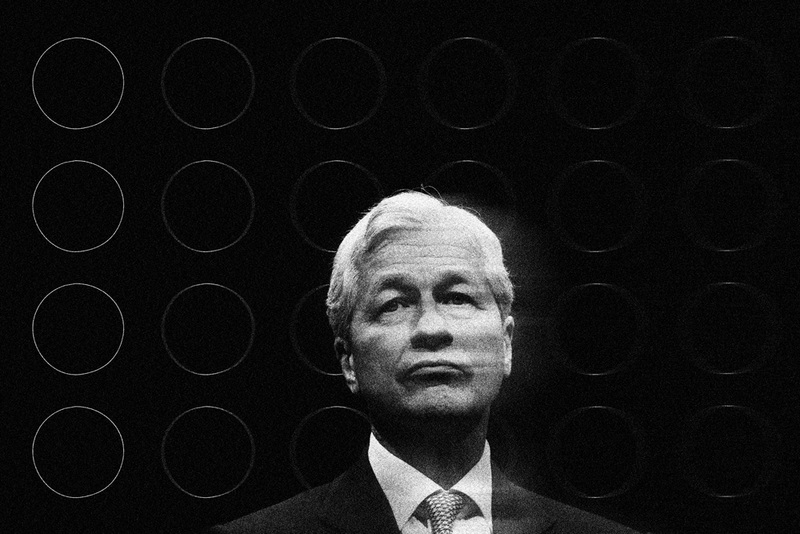 This is a continuation, in a certain sense, of my work at JPMorgan. Follow Aaron Timms on Twitter at @aarontimms. Visit his blog, Inside Edge.